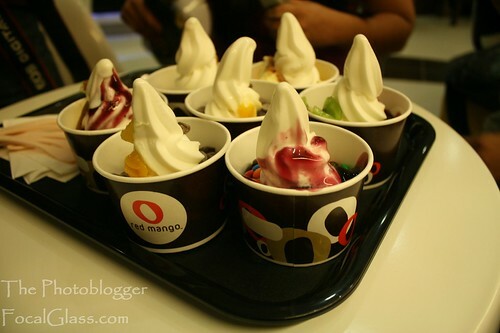 One of the few things I did on my birthday was check out Red Mango in Ayala. After having tried many different Froyos in Cebu I thought the growing number of froyo shops have stopped. Boy was I wrong when I heard Red Mango in Cebu was finally going to open. 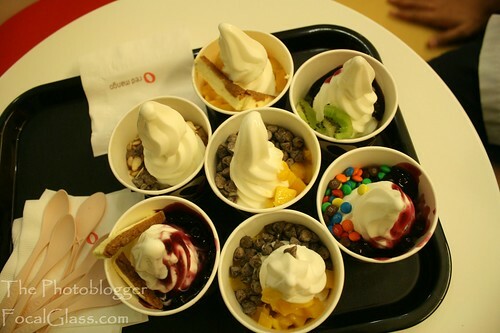 Red Mango happened to be one of the popular brands of Froyo in Manila such as White Hat, Golden spoon to name a few. 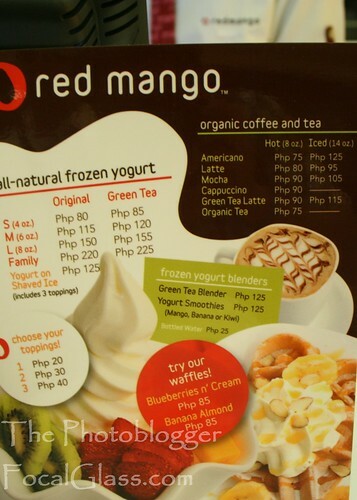 The Red Mango in Cebu is located on the topmost floor of Ayala just near the Time Zone area near the cinemas. They close around 10 pm so it’s nice to stay there while waiting for friends to come out from a movie or a nice stop to chat around while nomnoming on desserts. They have a wide selection of toppings and they happen to have green tea yogurt too. The prices weren’t cheap at all but they weren’t that bad either. Something you can spend for every once in awhile. Along with me t0 try the place was Doi, Karlson, Enad, Riz, Bonnie and Joey. We each had a small plain Froyo with two toppings. This way we got to try different combinations. Personally, when it comes to toppings I have a difficult time choosing. Here’s mine: Plain froyo with Mango and Chocolate. Group shot of the Froyos. All I can say is that never have I seen so many froyos in one tray. 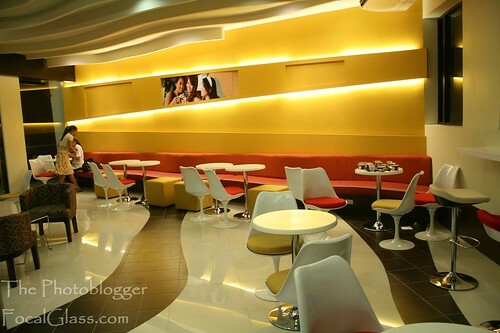 The location is good in the sense that it’s near the cinemas in case a barkada would like to get some froyo before going for a movie but bad since it’s really far up there. The interior design is really nice, one can have a party if you want because the place is quite big like a restaurant. I guess the place would be really nice for those who plan to have a large group or barkada hang out right after dinner. 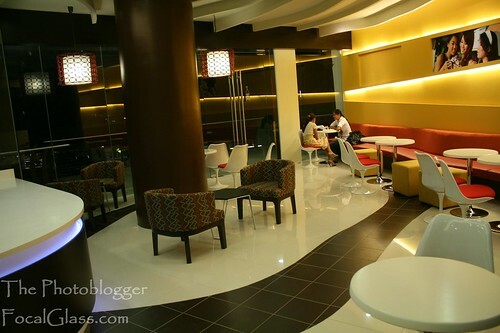 You can head over to the top most floor of Ayala and check out this cool place. I liked their place but for some reason I wasn’t entirely satisfied with the froyo. Though the froyo had that characteristic froyo taste I still end up with the question, how is this different from other froyo shops around? White hat has their awesome and cute combinations for those who don’t want to choose and the combinations are really well made. I guess this will serve as a challenge to Red Mango for their froyo category. Then again they do have other options apart from just froyo. You can try their waffles, hot drinks and teas. My personal verdict is: 3/5 in total score. 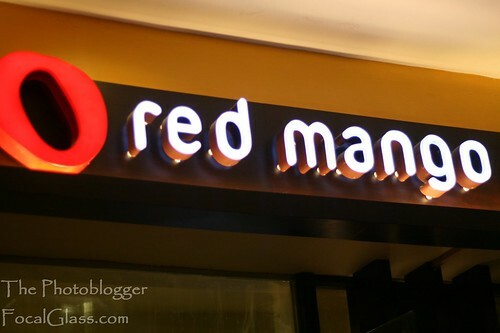 This entry was posted in Ayala, Desserts and tagged cebu ayala froyo, cebu ayala red mango, cebu froyo, cebu red mango, froyo in Cebu, red mango ayala cebu, red mango ayala cebur, red mango cebu, red mango in ayala, red mango in cebu.